Sleep apnea medication has been tested with obstructive and central apnea. In this page you'll find the description of all these medications. Sleep apnea medication is an additional option to complete the treatment for your sleep disorder. Unfortunately, most of the medications are not ideal for you and may have undesirable side effects. Most of the time, the medications are used to treat central apnea. These drugs stimulate the breathing reflex, but they should be considered temporary measures. Several agents (hypnotics, benzodiazepines, narcotics) are well known to worsen sleep disords. Inquiry about these sleep apnea medications, especially benzodiazepines, is important when evaluating patients with sleep apnea. An extensive list of medications has been investigated with obstructive sleep apnea, including antidepressants, respiratory stimulants, central nervous system stimulants, and hormones. Modafinil is used in patients who have partially responded to CPAP. It can reduce the number of daytime naps and improve the quality of life. You must respect the treatment duration and dosage prescribed by the doctor to feel better, or it could be worse. The patients treated with modafinil may feel better, but is advised to consistently use CPAP. Taking modafinil without CPAP is a risk for cardiovascular side effects. Remember that modafinil does not treat sleep apnea, but it only treats the symptoms. Speaking about side effects, regular use of modafinil may cause headache, dizziness, nervousness, chest pain and insomnia. Acetazolamide, also known as Diamox, is a respiratory stimulant and it is used by mountain climbers to prevent altitude sickness. The research showed that this medicine can decrease the number of apnea events and can decrease the daytime sleepiness. There is a study that shows a dose-dependent effect. A lower dose of acetazolamide can improve central apnea events, and a higher dose can decrease obstructive apnea events. However, long-term studies are necessary to determine if therapy has a positive effect on sleep apnea. We need more evidence to trust this medication. Another experimental drug is clomipramine. 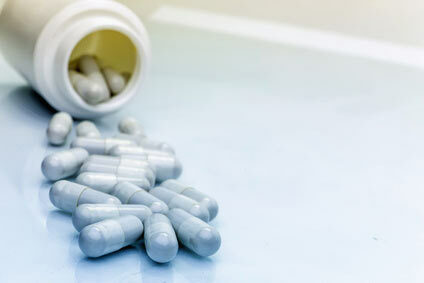 It is an antidepressant who can improve sleep and decrease the number of apnea events. The most important side effect of this sleep apnea medicine is impotence. Theophylline, also know as Theo-Dur, is a drug that can reduce sleep fragmentation due to nocturnal asthma. The side effect of theophylline is insomnia. Theophylline, which is mainly used to treat asthmatics, operates through an unknown mechanism, but is is assumed that it activates the respiratory center by increasing the metabolic rate. Theophylline is reported to confer salutatory effects on the airway musculature and diaphragm at lower doses and central respiratory center stimulation at higher doses, indicating a differential effect on the respiratory system based on the dose. When compared with CPAP treatment, theophylline has demonstrated inferior efficacy. Nevertheless, many authors have reported variable improvement in apnea index with use of these agents. Bottom line... As with acetazolamide, this sleep apnea medication mainly improves the sleep respiratory function of patients with central sleep apnea events, but not in cases with obstructive sleep apnea. Paroxetine, also known as Paxil and fluoxetine, or Prozac, have been shown to increase genioglossal muscle activity and decrease REM sleep, because apneas are more common in REM. However, this has not translated to a reduction in AHI in apnea patients. Protriptyline, also known as Vivactil, is an agent that decreases the amount of REM sleep, has inconsistently shownpositive effects on symptoms and apnea burden. Anticholinergic side effects such as dry mouth, constipation, and urinary retention can be troublesome and limit its consideration to the occasional patient whose apnea is primarily REM related. These drugs have been tried only experimentally on sleep apnea. Most of them are respiratory stimulants and antidepressants. They are not recommended for long-term us, and many of them have some serious side-effects.